John Knight is known for his genuine care and concern for the community, his dynamic oratory gifts and the compassion that he has for others. He currently serves as the Staff Assistant to the Senior Pastor at Mount Ararat Baptist Church in Pittsburgh, Pennsylvania. His responsibilities include providing leadership to a multigenerational team of staff leaders, providing oversight of the New Disciples ministry, teaching God’s Word to Mount Ararat’s approximate 10,000 members, pastoral care and overseeing the daily operations of the largest church in Southwestern Pennsylvania. Prior to joining Mount Ararat Baptist Church, Reverend Knight, a native of Pittsburgh, Pennsylvania served as the Senior Pastor of a local church for 12 years. 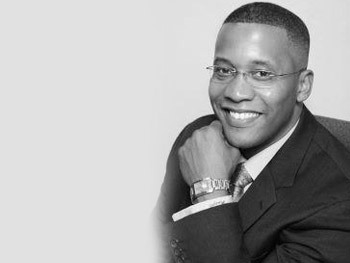 While serving as a Senior Pastor, Reverend Knight worked as the Executive Director of TWOgether Pittsburgh (TGP). TWOgether Pittsburgh was a $1.2 million a year federally funded grant that provided relationship education throughout the greater Pittsburgh area. His expertise in family dynamics and community engagement enabled Reverend Knight to soar in his position as he created the curriculum, trained participating non-profits on the development of relationship education programs, and personally facilitated a large percentage of the relationship seminars generated by TWOgether Pittsburgh. Reverend Knight has been accepted as a Doctoral candidate at the United Theological Seminary in Dayton Ohio. He holds a Master of Arts degree in Religion from Pittsburgh Theological Seminary, a Bachelor of Science degree in Community Ministry from Geneva College, Beaver Falls, PA and an Associate of Arts degree in Urban Ministry from the Center for Urban Ministries, Pittsburgh, PA. He is also a certified Facilitator Trainer for Life Innovations, Minneapolis Minnesota. Reverend Knight is the happy husband of the Tamara M. Killings Knight and the proud father of three Christian daughters Asia, Miyah, and Loren.